If you owe the IRS for taxes, filing a Fort Lauderdale bankruptcy might provide relief for some or all of your delinquent taxes. If your situation falls within the five requirements below, you may be able to have these debts discharged. If not, you may still be able to pay them off within a Chapter 13 payment plan. The due date for filing the tax return is at least three years ago. The tax return was actually filed at least two years ago. The tax has been owed for at least 240 days. There is no fraud on the tax return. You are not guilty of tax evasion. The third rule regarding assessment dates means the taxes must have been assessed at least 240 days prior the bankruptcy filing date. This usually isn't a problem, except in cases in which an audit occurs after filing the return. This may trigger a new 240 day period after the audit assessment. Payroll taxes or employee withholdings that you owe cannot be discharged. 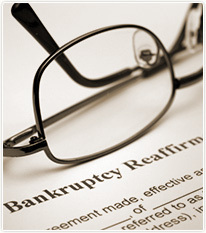 Aside from tax liabilities that fall within the rules above, tax debts are usually not dischargeable by filing bankruptcy. They can, however, be included in a Chapter 13 payment plan. In other cases, you may want to explore the option of an Offer in Compromise to the IRS. If you need local tax preparation assistance, contact efileflorida.com. Otherwise, call our office for a free consultation with a Fort Lauderdale bankruptcy attorney on whether your taxes can be discharged through bankruptcy. We are conveniently located in Davie and Coral Springs, just a short drive from Fort Lauderdale, Hollywood, Plantation, Weston, Pembroke Pines, Miramar and Cooper City.